After the IFBC this weekend, I'm experiencing a bit of NOLA withdrawal, which prompted me to compile these New Orleans-Themed treats. Today is the anniversary of Hurricane Katrina, so it seems appropriate to commemorate that inauspicious date in a sweet culinary way. 1. 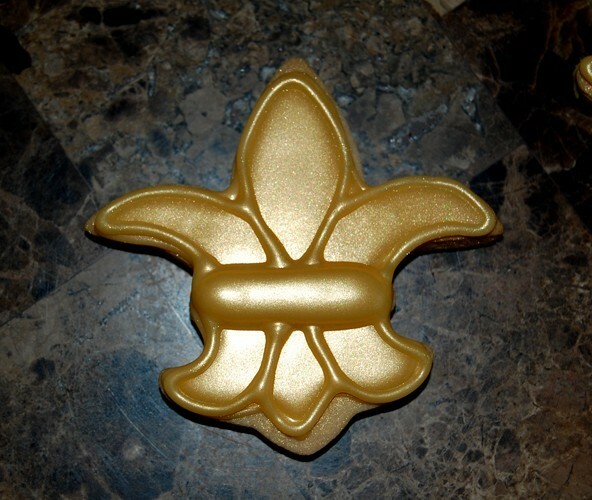 Fleur-de-Lis Cookies: These fleur-de-lis cookies are frosted in gold icing. The buttery sugar cookies are ideal reminders of NOLA's signature symbol. 2. 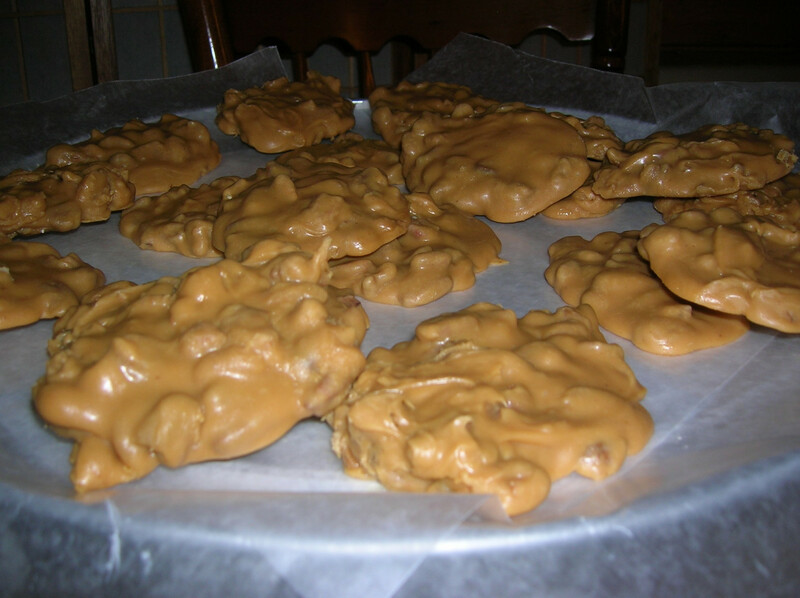 Rosalyn's Pralines:These delicious pralines are loaded with pecans and can be packaged as simple standalone desserts or as wedding favors wrapped with a printed card. 3. 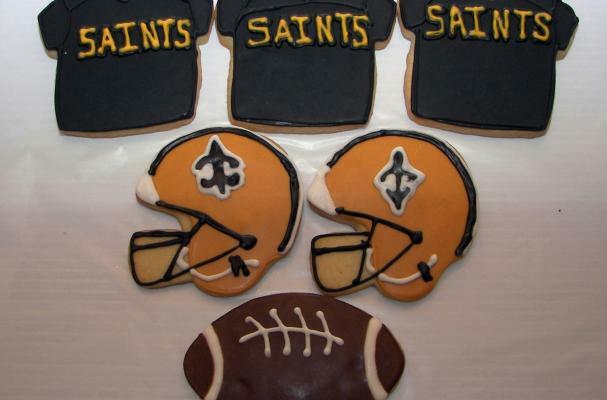 New Orleans Saints Football: These sugar-butter cookies are perfect game-day treats -- if you're a New Orleans Saints fan, that is. 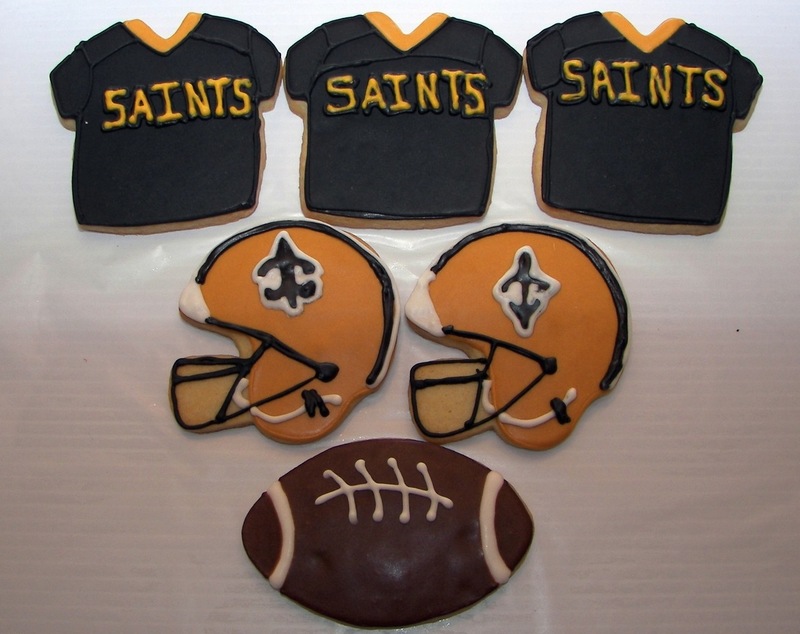 The cookies are shaped like Saints jerseys, helmets and footballs and are frosted in either lemon, lime, orange, vanilla or almond. 4. 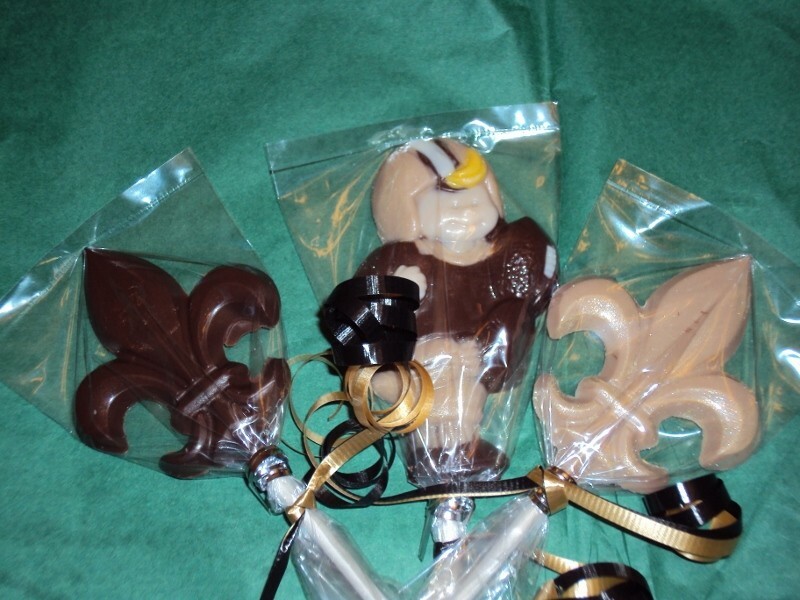 New Orleans Saints Chocolate Lollipop Favors: These chocolate lollipops come in a fleur-de-lis shape and a customizable football player shape. They're just one of the NOLA Party Boutique's many fun theme lollipops. 5. Bourbon Street Coconut Crunch Cake: This luscious cake has a coconut crown covered in either key lime glaze or vanilla almond glaze. 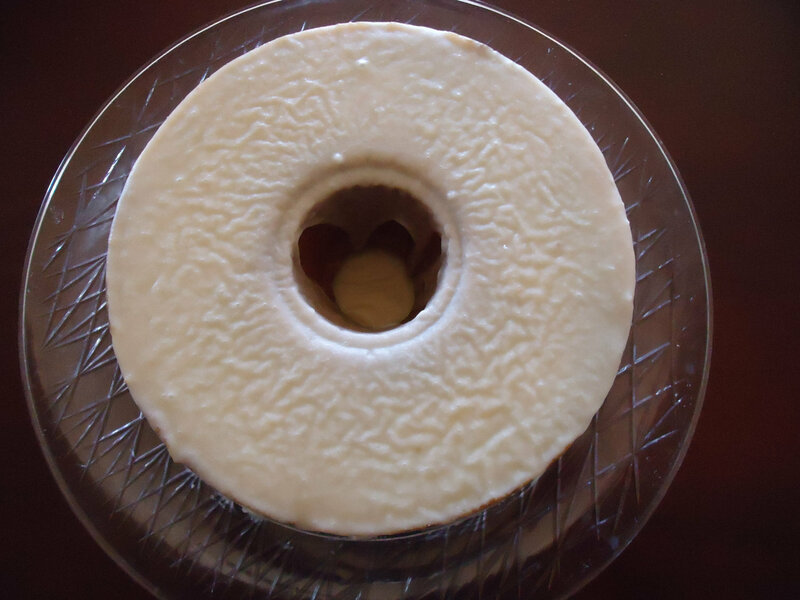 It's the perfect New Orleans-themed sweet for fans of Southern cuisine.